Graphic literature and the other side of short attention spans. 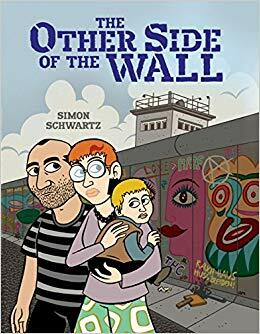 This week I had a conversation with a woman sitting next to me at a cafe here who noticed that I was reading The other side of the wall, an engaging graphic memoir by Simon Schwartz. Schwartz tells his personal story about the trials and tribulations of escaping from East Berlin to the West, before the fall of the Berlin Wall. Although written for HS students, it is engaging enough for college and post college, as supplementary reading. She and I discussed the Berlin Wall, this particular story, and of course, comics and graphic novels. As I told her about my dissertation, she looked up an me and said, “Of course those books are for people with a limited attention span.” A limited attention span. In all honesty, I needed to run to an appointment, so I was unable to continuing our chat, as well as educating her about graphic literature. I am not even sure where to begin with this. Perhaps with Howard Gardner’s books about multiple intelligence, and that not everyone learns or processes information the same way. Some people are very numbers-oriented, so some are text-hounds, others are visual thinkers, who may not have appropriate skills for dense readings and books. This type of thinker may excel at a number of other disciplines, but not reading. Since I am a strong believer in the notion that learning and education are not tasks for bean-counters, but are very, very messy endeavors that require educators to translate and convert ideas about specific disciplines into others. 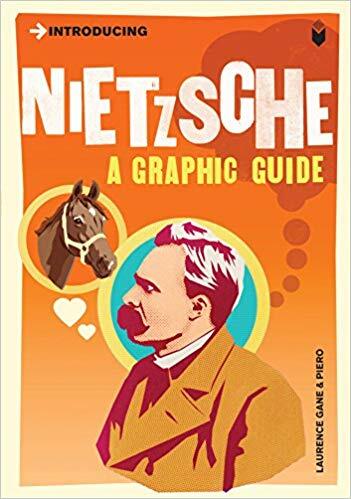 For example (and I mentioned before), not every learner can or will read the philosophers such as Nietzsche, or others, but that can all benefit intellectually and practically from being exposed to the great thinkers in ways that address their natural way of learning, such as through graphic literature for visual thinkers. 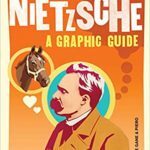 such as Nietzsche, a graphic guide by Laurence Gane, or any of the other 15 books in the collection that cover topics such as Freud, Psychology , Post Modernism, Logic, Critical Theory, Philosophy, Marxism, Capitalism, Quantum Theory, and Chaos. 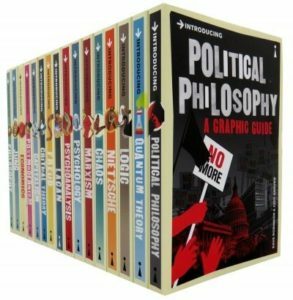 One need not be a student of philosophy (or even a formal student) to be able to learn and enjoy from these books, that are not for the short of attention. Titles in graphic literature address philosophy, history, personal memoirs about war, science, immigration and refugees, and many more critical topics that are needed for an understanding of where and when we live. For those who say that comics are either for short attention spans, or for simpletons, or any other excuse, I say that one of the causes of these ideas is from the change to core curriculum, or standardized testing and learning. There is nothing standard about teaching- it is an art with lots of different tools, and processes that educators learn, adapt and use in their own work as educators- teaching to the different kinds of learners in different kinds of disciplines. If a student is perceived to have a short attentions span, then the teachers need to find a way to reach out to them, to bring them into the conversation, with a text book, a song, or a graphic novel, among other things. The short attenti0n span is then made longer as students find their way, their language to understand the discipline being taught. This entry was posted in Comics, Constructivist learnng, Education, Graphic Novels, Learning, multiple intelligences, Pocketbook philosophers, Science, Social Justice. Bookmark the permalink.